Product prices and availability are accurate as of 2019-04-19 15:00:17 EDT and are subject to change. Any price and availability information displayed on http://www.amazon.com/ at the time of purchase will apply to the purchase of this product. 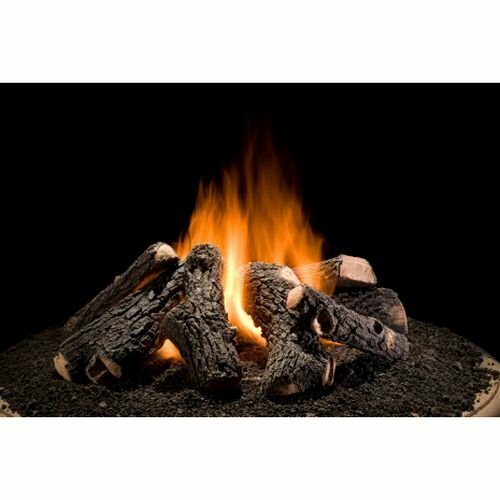 30" Wilderness Oak 8 Piece Firepit Log set for 20"- 40" size firepits. Features: Log Type: Wilderness Oak. 8 Piece Log Set. For use with Outdoor Firepits. Based on Grand Oak Series Logs. Specifications: Size: 30". Firepit Size: 20"- 40".